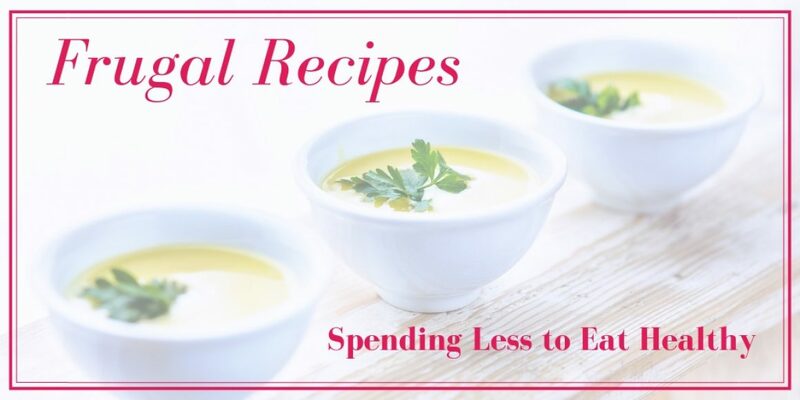 A while back I wrote a quick tip for you on growing your own herbs, but there are other ways you can save money on these delectable additions to meals. First, go through your pantry and see what you have. Make note of which herbs and spices you use the most of, and which you use very little of. Decide what items you can grow organically on a windowsill. Learn how to freeze and dry what you do grow. Figure out exactly what you have to buy, and find out where you can buy the organic versions affordably. Find others who also use only a little of the herbs and spices that you use little of. Are they willing to go in on the cost of those items with you and split them? Or maybe someone uses more than you do but would be willing to give you what you need at little cost. Growing your own and going in on the cost with others can be huge money savers. If you find you haven’t even opened something in the last year give it away and don’t bother getting it again. While we want to save money in this area – and possibly save huge – it is also important that you buy or grow organically. By doing so, you will get top nutritional benefits. And the organic versions taste so much better! When I was contacted about trying the Beetology juices by Kayco, I was skeptical at best. The thought of beets as a juice base just did not seem appealing. But I had them send me a few juices to try, because I’m all into trying more and more healthy things, and I’m so glad I did. These juices are organic, 100% cold pressed. I’m looking more toward organic as I move forward with my nutrition goals (as my budget allows), so this pleased me right off the bat. I also like that they are not from concentrate, something else I look for when I want juice. They are non-GMO project verified as well, which is also plus. Another benefit is the lack of preservatives and additives. I don’t know about you, but I don’t want those types of things in my fruit servings. And there are no artificial flavorings or colors. It really is the color of beets. Beetology juices are certified fair trade. While I enjoyed them all, my favorites were the beet + cherry and the beet + berry. They really pleased my taste buds! Sadly, this product is not yet sold near me. However it is sold in Portland, I will have to buy a few bottles the next time I visit Zowie’s family. I don’t drink a lot of juice, so one bottle would last me three servings – about what I would drink in a week’s time. I don’t drink juice often enough for the price to make a huge dent in my budget, and I know I’ll get three servings from each bottle. They are a source of nutrients my body needs. I can reuse the bottles for short-term food storage. Check out the bottles in the picture above. They are made of sturdy, thick glass, and can be used for short-term storage of food items and liquids. I removed the labels (an easy task that took little time) and washed the bottles and covers well, then allowed them to air dry. I had bags of partially used food items that I decided would look better if they were in these cute little bottles. The bags look so messy, I wanted a better look in there because I’ve been organizing the small closet in my room to serve as a pantry. Here you can see where I put unsweetened coconut flakes in one bottle, dried cranberries in the second, and dried berries in the third. These are going to work just fine to store smaller portions of foods and liquids, and look much better in my little pantry space than those bags of food did. Because I now have five of these bottles, I no longer need to go out and buy containers for this specific purpose. How would you reuse the bottles? Salads are common fare during the spring and summer months, as we try to eat lighter after a winter of hearty meals. Experimenting with different combinations of foods keeps our meals new and exciting. I don’t know about you, but I get so bored with food after a while I need to break out and try something different or I wont feel like eating at all. This recipe is super-easy, and is so good. I use the same recipe for shrimp scampi that I used to make Lettuce Wraps: Shrimp Scampi & Veggies. As a matter-of-fact, I used leftover shrimp from the scampi made for that meal with no loss of flavor. What a beautiful salad! How about making one for yourself. Layer the vegetables on your plate, however you like. Top with the shrimp scampi and a little of the sauce from the pan. I try to use mainly organic vegetables when possible, though sometimes cost trumps everything. This is a good-size salad, so I count it as a main meal. Use whatever vegetables you can get affordably to save money. Try different types of seafood. This is a meal in-and-of itself, and will go great with my recent Easy Sun Tea for One recipe. What are your favorite salad recipes? But this recipe is strictly vegetables. If you’re wondering about protein, this recipe does provide that, and many other nutrients. Meats aren’t the only foods you can get protein from, thank goodness. I don’t always want meat. As a matter-of-fact, the reason I made these wraps was because I wasn’t into eating meat on that particular day. I just wanted my veggies! Don’t these wraps look good? Try them for yourself! Place the wraps flat on a plate. Sprinkle shredded cabbage over the wraps. Cut the cucumber and zucchini slices into fourths. Top the cabbage with the cucumber and zucchini. It’s that simple. These wraps are so versatile they can be used as sides or snacks, or could even count as a whole meal. Use different types of leaf lettuce each time you make these. Try different types of vegetables, such as broccoli. Add some sliced strawberry for a sweet kick. Use leftover veggies to lower the cost. Serve alongside soup for added nutrients. Share your veggie wrap ideas with us. I don’t eat snacks often but, when I do, I’m trying to make healthy choices. These mixes can be placed in small jars and stored in the pantry, so you can quickly grab one when putting together a meal for work or when you want a snack. Trail mixes are easy to make, and allow me to use up leftovers from other cooking ventures. The chocolate chips are not Paleo, but they are organic – as are the other ingredients. Place all the ingredients in a bowl and mix with your hands. Divide between four 8 ounce canning jars. Cover and place in the pantry. Use different types of seeds, nuts, and dried fruit, for variation. Serve with a smoothie, or pour over a smoothie bowl, for a full meal at breakfast or lunch. Do You Drink Milk? What Kind? Rarely do I ever drink cows milk. I’d be more apt to if I could get raw, organic milk, but I cannot. So I bet I drink about a gallon a year… mostly because I like the occasional milkshake. I do drink other organic milks, and am planning to learn to make Paleo ‘milk’ shakes at some point. Expensive? Yes. Well, sort of. Years ago, when I used to buy cows milk at the store, I’d drink some at each meal and sometimes with snacks. I’d bake with it, and cook with it. I don’t use any kind of milk that much any more. I don’t even drink a whole cup every day. If I did, it would be far too expensive at almost $3.00 per half-gallon. How do I Use Milk Alternatives? A few times a week I might have a cup with a meal. I use it in smoothies, but not every day. I use it when baking, which I do not do often. What kinds of milk do I use? I want to try other types as well. What kinds of milk do you use? And how do you use them? Let us know in the comments below, or email me at shannonlbuck@gmail.com. I respond to all emails.